Please complete this form to contact Dr. Nayak directly. Thank You. We will be in touch shortly. Feel free to visit www.nayakplasticsurgery.com. Facelift St. Louis is a complimentary guide to facial plastic surgery and procedures. Our website provides comprehensive information about facelift surgery and facelift surgeons for consumers in St. Louis and the surrounding area, as well as for people who live outside of Missouri. Our goal is to provide you with all the information you need about the variety of types of facelifts, so that you will have a better understanding of the procedures available and will be able to make a well-informed choice that is right for you. Our website will also help you determining how to choose a surgeon, what to expect during the consultation process, what to expect after surgery and information on other facial cosmetic procedures that are often combined with the facelift. Finally, our website provides current research and data within the field of plastic surgery. 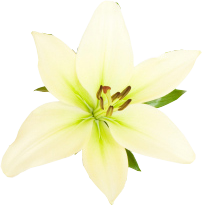 Note: Lifestyle Lift® is a registered trademark of Lifestyle Lift Holding Inc. located in Troy Michigan. Any references to Lifestyle Lift® are intended to provide information and comparison purposes and are not approved by Lifestyle Lift Holding, Inc.
Guide to facelift surgery in St. Louis. What you need to know about learn about St. Louis cosmetic surgery procedures and what is right for you. Learn about the latest cosmetic facelift procedures. Facelift St. Louis is a plastic surgery guide to face lift procedures. It was written by St. Louis Face Lift plastic surgeon Dr. L. Mike Nayak and provided as a source of advice for people seeking facial plastic surgery and cosmetic surgery. 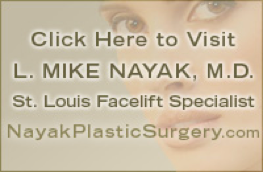 Dr. Nayak performs plastic surgery in Saint Louis, Missouri and can work with individuals from Kansas City, Springfield, Independence, Lee's Summit, Columbia, Saint Joseph, as well as.patients from other cities and states, and around the world. Cosmetic surgery in St. Louis MO by an experienced specialist can have a major impact on your life.